Registered bidders in over 33 sates and 8 countries and growing! Licensed in most states. BUSINESS: The region's #1 Business & Commercial Auctioneers with an international business base. Auctions, Private Business Sales and Brokers, Private Sales & Liquidations, Evaluations, Private Direct Purchases, Auction or Private Sales, Turnkey Business, Real Estate, Inventory, Equipment, Intellectual Property, Transportation, Agricultural, Assess Assets & Inventory Recovery, Lender Workouts & Evaluations, Asset Advisers. PERSONAL INVENTORY DIVISION: Complete turnkey estate recovery. Real estate, personal inventory of any size or categories. Evaluations, private sales and direct purchase. REAL ESTATE: The leaders in successful real estate auctions! Commercial, Business, Ag, Upscale Residential, Estate Auctions. Business, Commercial, Ag & Upscale Real Estate Sales. 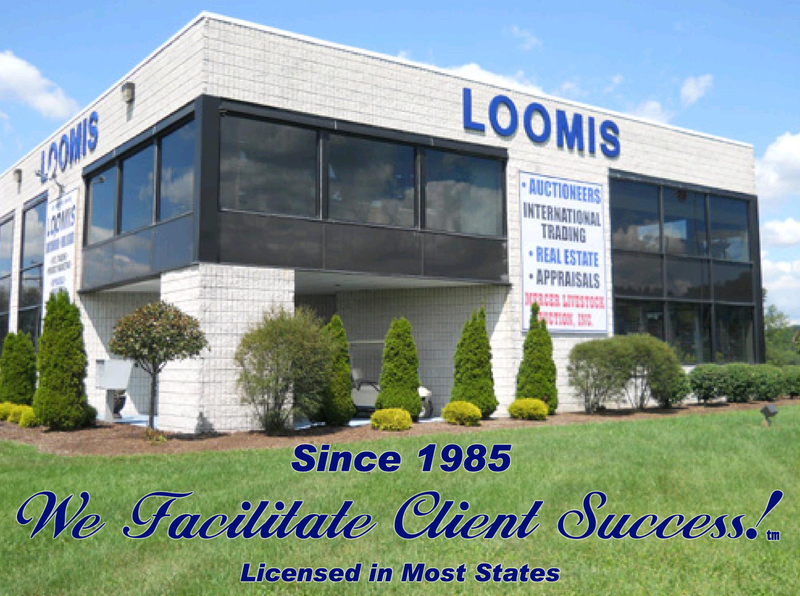 Contact Loomis Real Estate, LLC for More Exposure, More Options and Faster, Better Results! List with us to have more options, and the best results!